Packing for a trip is usually quite stressful. But, packing for your first cruise can be even more confusing, especially if you don’t know what to pack. And, then there’s seasickness! Luckily, the Internet is here to help! Here’s what you must pack to have a comfy and sickness-free first cruise. Take a look. If you’re starting your cruise from a remote destination, make sure to pack a good carry-on bag that you’ll take on the plane with you. This way, if your luggage gets lost or delayed, you’ll still have the most basic necessities, some change of clothes and your bathing suit! This way, you’ll get to enjoy all onboard activities and not sit in your cabin and wait until your suitcases arrive. Some cruises have a very formal dinner dress code that includes tuxes and formal gowns, so make sure to check the dress code before you embark. Luckily, most lines choose a more informal dress code like suits and cocktail garb for guys and cocktail dresses or pantsuits for girls. Slacks with button-up shirts, sundresses, skirts and blouses are also fine in most cases. However, beach shorts and crop tops are never a good choice! As you will probably go off-board pretty often, make sure to pack enough comfy clothes for destination exploration. If your itinerary takes you to Europe, you might want to have some resort clothes and footwear, but if you’re heading to an exotic island, you might only need super casual wear like t-shirts, shorts, bathing suits and flip-flops. Also, don’t forget to pack some walking shoes if you’re planning to do a lot of sightseeing. Another thing you might need if you’re visiting religious sites in Asia or Eastern Europe, is modest clothes that cover your shoulders and knees and something that will cover your head. Oftentimes, if you’re a woman, you’ll not be able to enter these places if you’re dressed inappropriately. Spending time on the deck is the best part of any cruises, but be careful of all that sun and wind. So, if you decided to choose one of the best cruises in 2018, this is what you should know: pack plenty of sunscreen! You might also benefit from an aloe vera gel. In case you do burn, this product will come in very handy, plus it will help you retain your tan longer! You might also load up on moisturizing skincare products and a few face masks that will feed your dry and damaged skin. A simple lip balm is also a lifesaver if you get a lot of wind. Most of the times, you’ll have soaps and shampoos waiting for you in your cabin. But these are almost always some off-brand products, so if you’re very particular about the toiletries you use, make sure to pack your favorite brands. Hair dryers are also available, but they are not very strong. So, if you need at least 2000 watts to dry your mane or a special diffuser to tame your locks, you better bring your own hairdryer. 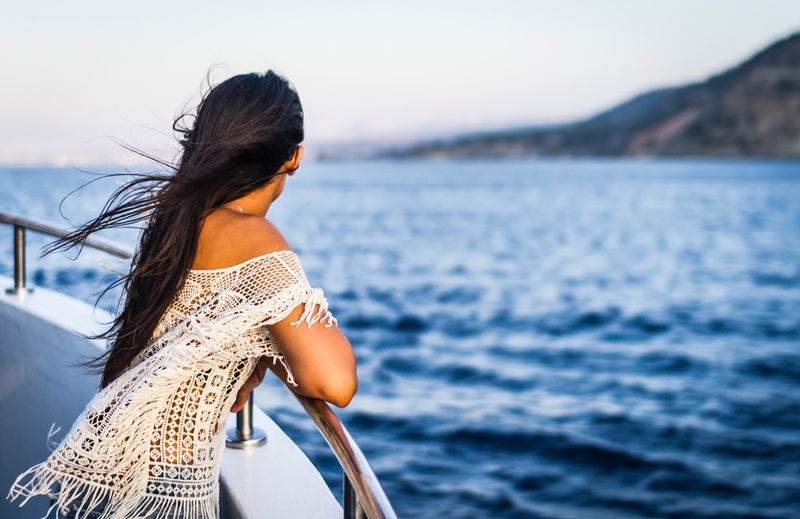 Some lucky travelers experience absolutely no side-effects from spending time at the sea while some feel really seasick. If you belong to the latter group, don’t panic! There are a few things you can do that will relieve your upset stomach and make you feel much better. Those that are only slightly seasick might benefit from simple Dramamine pills, but those with bigger issues might need something stronger. Ask your doctor for prescription patches or promethazine. These are even used by astronauts, so they’re bound to help you on your cruise! If you’re more into natural remedies like saltine crackers, ginger and green apples, that can help alleviate your seasickness! There are even some specialty acupuncture bands that tap into your Nei-Kuan pressure point and stop nausea signals from the brain from reaching your stomach. 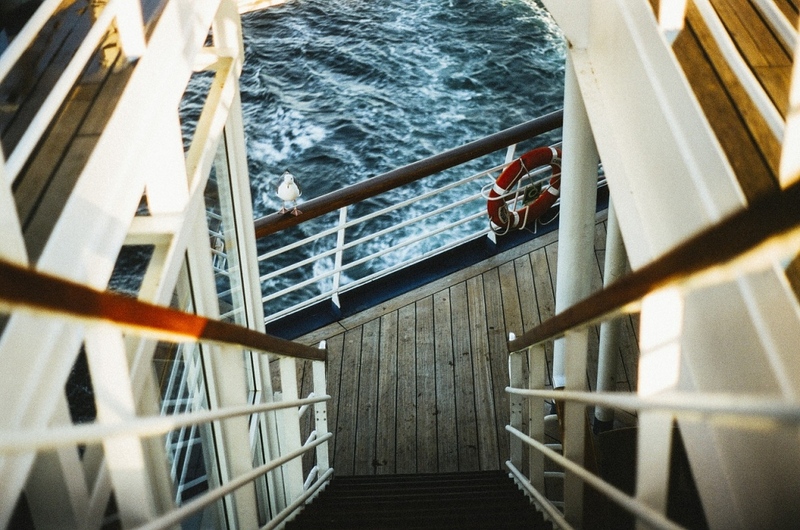 So, as long as you pack right and bring plenty of seasickness remedies, your first cruise will be an amazing experience. Every next time (and there will probably be many next times) will be much easier to pack for and fight off seasickness!